It has been a while since I last posted; the shoots and the edits over the past year have been keeping me very pre-occupied. I’m sure many other wedding photographers would agree, it seems like the term ‘wedding season’ has long since vanished and is no longer contained within the Spring / Summer months. It has certainly been a busy season, especially in the Asian Wedding events category. So for this year I figured I’d begin with a really enjoyable Hindu Wedding held at the Syon Park Hilton in London. Both Jessica and Samit were a pleasure to photograph throughout, whilst Shiv Gopal and Rajubhai conducted yet another stellar performance on the music and religious sermons. It was also a pleasure to again work alongside Sachin and Co from Clearcut Productions on the cinematography front. In part two I plan to feature the bride and groom’s wonderful and very entertaining wedding reception held at the Hilton in Wembley. For the moment, please enjoy some of the ceremony highlights from Jessica and Samit’s Hindu Wedding celebration. I hope you enjoy the coverage – Jermaine. Jermaine, you have captured the event beautifully. Hope to see you in 2014. Wishing you well. Happy New Year my friend. Thank you so much for all your hard work making our wedding day extra special with beautiful phtos we will always treasure…. It was my pleasure guys. 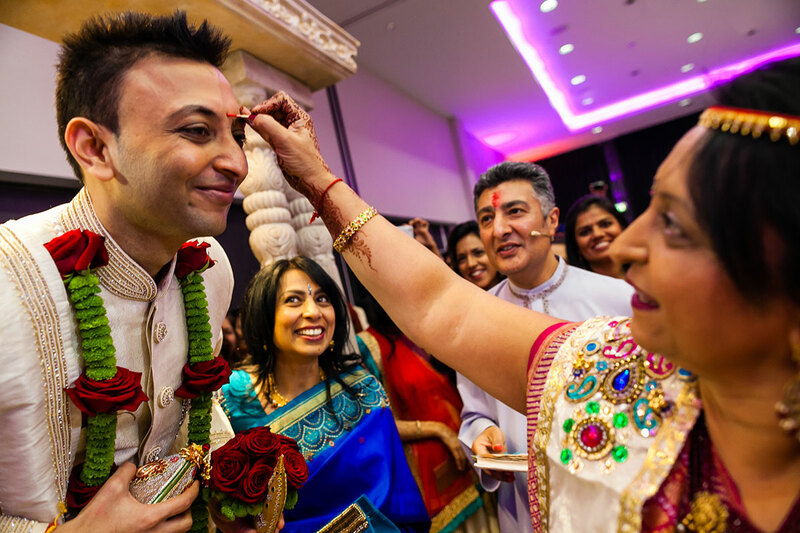 You’ve taken some awesome photos of Samit and Jessie’s wedding! Can’t wait to see the rest !! Yes we cannot Thank you enough for taking our wedding photos!! The drama and emotion of this moment so beautifully captured. You did an amazing job at our wedding – everyone had so many good things to say about you afterwards! We can’t wait to see the rest of the images!